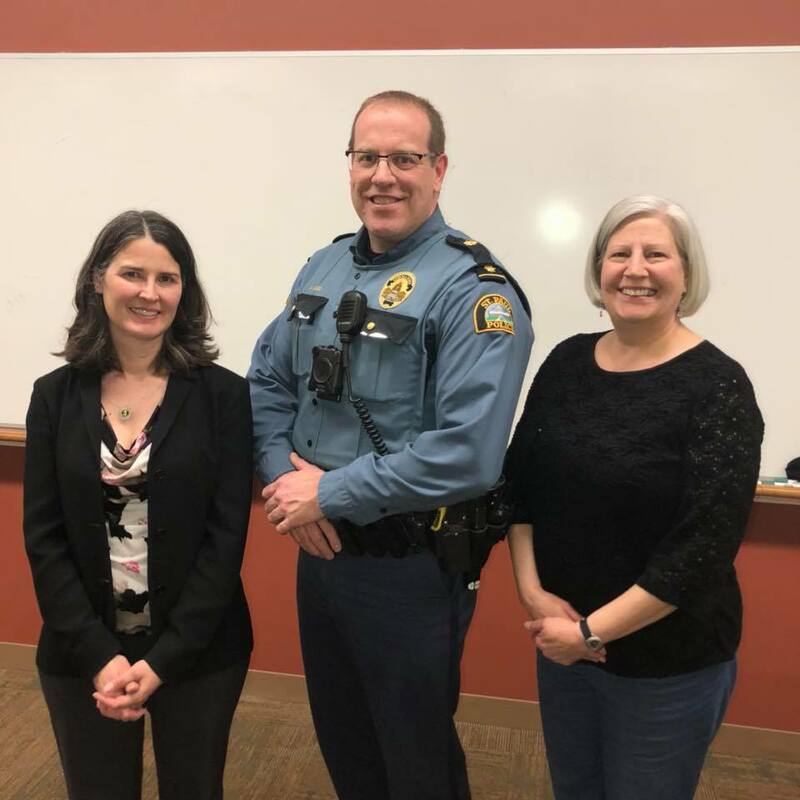 Amy Mino, president of the League of Women Voters St. Paul, left, Commander Joshua Lego of the St. Paul Police Department and Vicki Barnes, LWVSP vice president, at the “Peaceful Protest and Social Movement Organizing” forum at Metropolitan State University on Thursday, April 19, 2018. Photo by Erin Heisler Wagner, courtesy of League of Women Voters St. Paul. Freedom of assembly was the topic of conversation between a Metro State professor and a St. Paul police officer at a campus forum on April 19.